Commercial and residential cleaning has been one of our main areas of expertise for many years. Working with estate managers, building companies, housing associations and commercial clients, we provide the complete contract cleaning and flat maintenance service. We were originally established as a commercial maintenance and residential cleaning specialist, so we have unrivalled experience of over many years in the industry; guaranteeing you a quality clean, every time. Ranging from office cleaning and grounds maintenance to communal area cleaning, carpet and window cleaning and all-round flat maintenance, we offer competitively priced contract cleaning services that get results. For first class contract cleaning services, provided by extensively experienced, trustworthy and dedicated cleaners, speak to the experts at London Contract Services on 01689 859292 today. We will arrange your FREE no obligation survey and cleaning quotation with one of our helpful and friendly contract cleaning and property maintenance team. The quality of our contract cleaning services ensures that so many of our clients come back to us time and again. 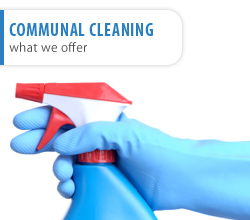 We like to go the extra mile for our customers, which is why we provide an all-in-one cleaning service that includes the removal of waste, rubbish and junk mail, the cleaning of porch areas and entrance glazing, the replacement of blown light bulbs and a comprehensive surface clean of all areas. Whatever your residential or commercial cleaning requirements, look no further than the property maintenance experts at London Contract Services. We have the skills, expertise and experience to provide a reliable and cost effective property cleaning and flat maintenance solution. With our central office situated in Bromley, we are perfectly placed to provide comprehensive contract cleaning and all-round property maintenance services to both residential and commercial clients in Kent, London and the South East. 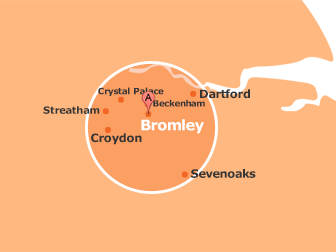 Just a handful of the many locations in which we have worked include Bexleyheath, Maidstone, Tonbridge, Tunbridge Wells, West Kingsdown, Dartford, Orpington, Gravesend, Canterbury, Bromley, Beckenham, Sevenoaks and Medway. If you would like any more information about the contract cleaning or general refurbishment services we provide, please contact us today. One of our property maintenance and professional cleaning specialists will answer your questions, run through the details of your requirements and organise a free no obligation property survey and quotation at your convenience.